After a diversion of a new TV/DVD set unto install I finalised some very old miniatures I had. 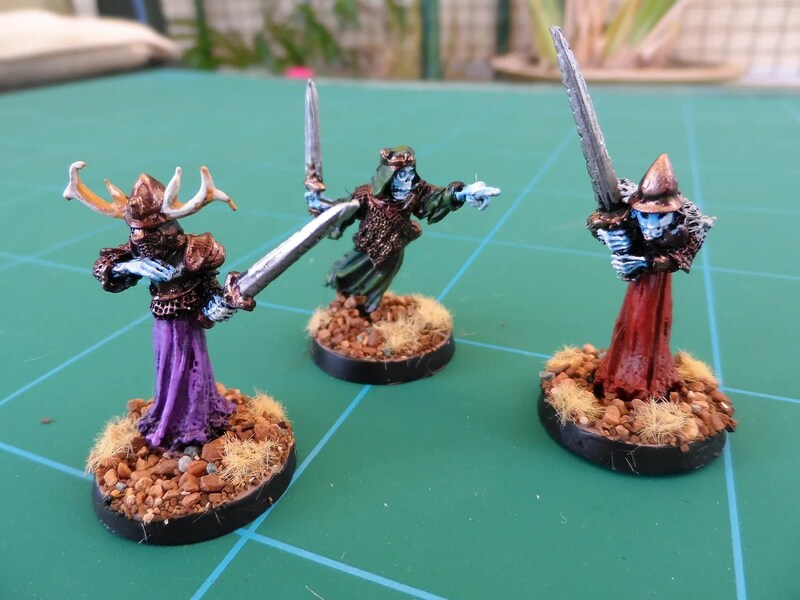 Three Citadel LOTR Barrow Wights, as featured in WD 86. 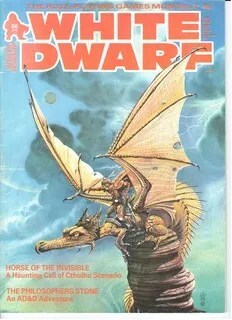 Here’s the cover, long before GW hi-jacked the magazine. And here’s a relevant picture from P45 – “Open House” edited by Joe Dever and Gary Chalk. 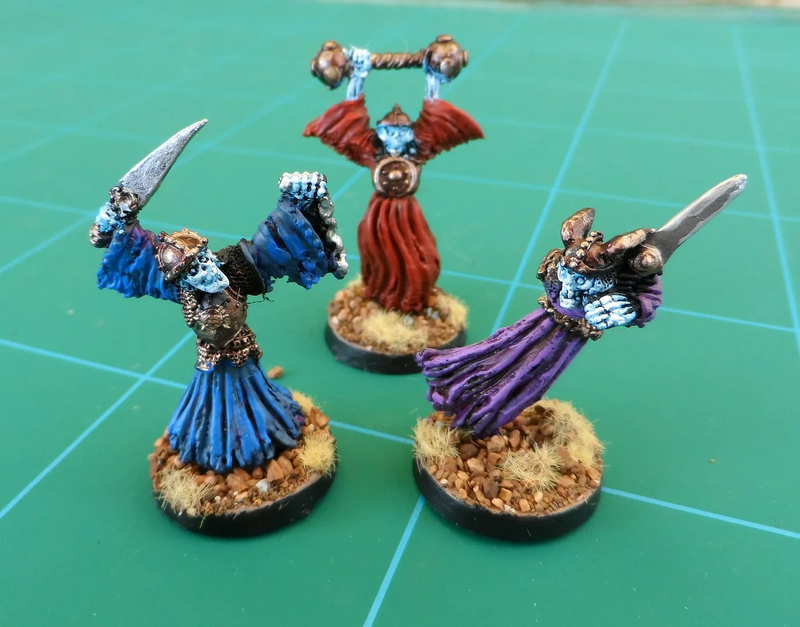 The picture is of the eponymous Barrow Wights, as painted for a diorama by Bill Sprint. 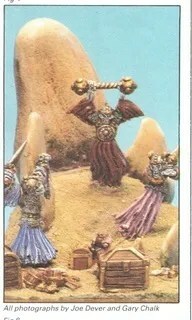 This is where I got the inspiration for my colour scheme, updated using Foundry and GW washes. Here are three more C18 Night Horrors Wights. A full compliment of six Wights for Mordheim and Frostgrave.